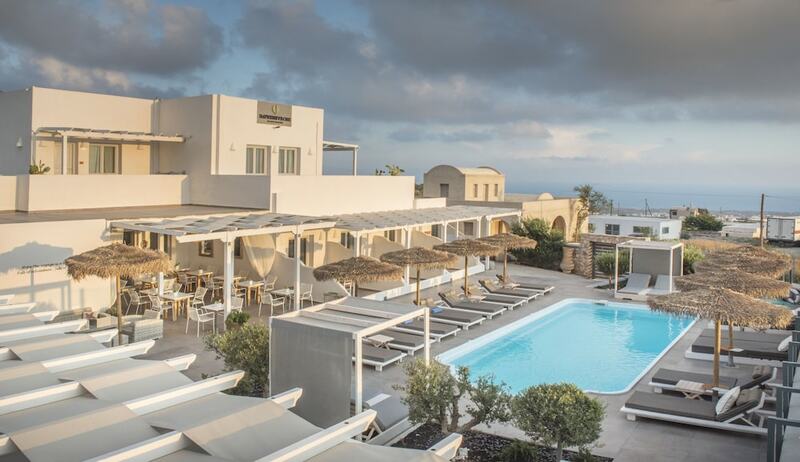 Located in Santorini, Impressive One is a 1-minute drive from Venetsanos Winery and 9 minutes from Museum of Prehistoric Thira. This 4-star apartment is 4.6 mi (7.4 km) from Perissa Beach and 4.7 mi (7.6 km) from Ancient Akrotiri. Make yourself at home in one of the 15 air-conditioned rooms featuring refrigerators and minibars. Rooms have private balconies or patios. 24-inch plasma televisions with satellite programming provide entertainment, while complimentary wireless Internet access keeps you connected. Private bathrooms with showers feature designer toiletries and hair dryers. Enjoy a meal at the restaurant, or stay in and take advantage of the apartment's room service (during limited hours). Quench your thirst with your favorite drink at the bar/lounge. A complimentary hot/cold buffet breakfast is served daily from 8 AM to 11 AM.